There are many processes by which metals are formed into usable products. These processes include roll forming and press braking, both of which shape metals by bending them, as well as stamping, punching, machining, grinding and filing processes. Unlike stock metal fabrication services, which manufacture metal parts like fasteners, trim and metal sheeting according to common measurements, custom metal fabricators only produce metal products that have been specially ordered for use in a specialized applications. Such applications may not be particularly exotic or unusual, but a replacement ventilation grate for use in an old building, for example, could require the assistance of a custom metal fabrication service if a spare original grate could not be found. A wide variety of industrial and commercial operations benefit from access to custom metal fabrication services. Auto restoration operations, for example, often require access to parts and components that are no longer produced by auto manufacturers. 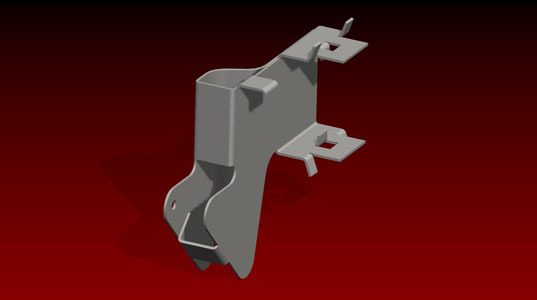 Custom metal fabrication services can often reproduce fenders, metal window trim and even mechanical parts that mimic the qualities of original materials. Heavy fabrication services can also be provided by some custom fabricators; specialized architectural embellishments in major building construction can require the attention of a fabrication staff that has been cross-trained in design and metal forming. Successful custom metal fabrication services often must anticipate the needs of their customers, and in order to accommodate those needs they often offer a combination of metalworking services. Many custom fabricators use specialized machinery software called CNC (computer numerical control) to allow for the most precise processing of materials. Advanced services like laser cutting allow for even more precision during fabrication processes, and many custom fabrication operations offer such services. Many custom fabricators can even process metal materials supplied to them by customers. This allows customers a greater measure of control and clearer expectations for the condition of their finished products. Customer expectations are the single most important consideration in custom metal fabrication, and the most successful and effective custom metal fabrication services are those who sustain close dialogue with their customers at every point in the fabrication process. Custom Metal Fabrication Custom metal fabrication services provide clients with a source for non-standard or irregular metal products. 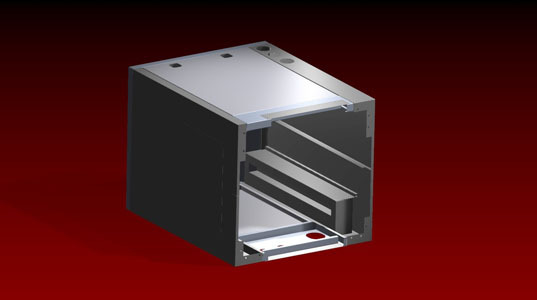 Custom metal fabricators are able to design and manufacture metal products according to exact customer specifications.